← Restaurant Review: Jibarra – Raleigh, N.C.
I’ve recently discovered two stores in Raleigh (both are part of small chains that specialize in spices and herbs) and I could not be more thrilled! It is so important to use the best possible ingredients whenever you are cooking and you should not overlook your seasonings since they add so much flavor to your dishes. And these places offer a wide variety of spices and herbs, especially when you cannot grow your own. Spices usually do not spoil, but they will lose their strength over time. A good rule of thumb is to refresh your herbs and ground spices once a year, and whole spices every two years. And make sure you store them away from a heat source – the best place is inside a cupboard or drawer, out of direct sunlight. 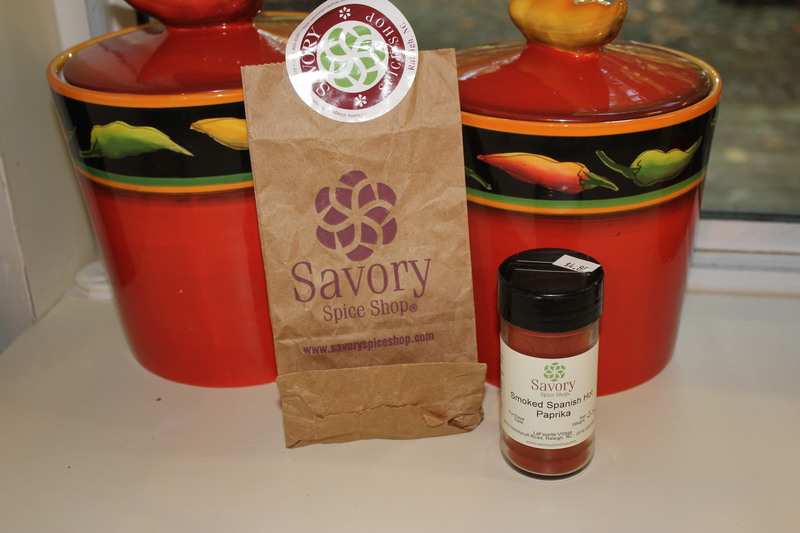 Savory Spice Shop is located at Lafayette Village at 8470 Honeycutt Rd (just south of 540 facing Falls of Neuse Road.) The aromas in this place are just heavenly. The staff was quite friendly and explained how the store worked. Luckily they did not hover (that’s when I bolt!) so I was able to explore the store on my own, but ask questions as needed. 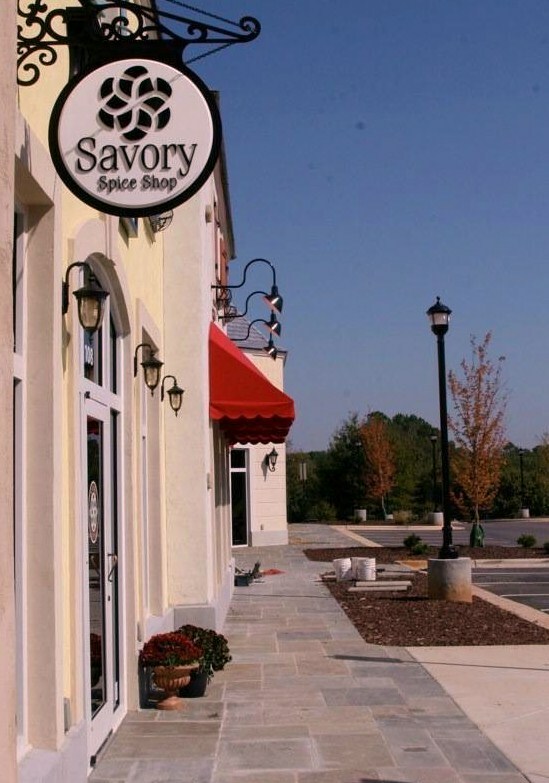 You can sample all of Savory’s offerings and then decide how much you want to buy. This is great if you have a recipe that calls for an herb or spice that you don’t use very often – you only have to buy a small amount, basically from ½ oz. up. I bought some Smoked Spanish Hot Paprika after sampling it because I thought it would go great in some roasted red pepper hummus and some egg salad I was going to make later in the week (BTW – it did – click here for the hummus recipe.) I’m sure I would have bought more seasonings if I wasn’t meeting some friends nearby for dinner. Great place – I highly recommend that you stop by and check it out. 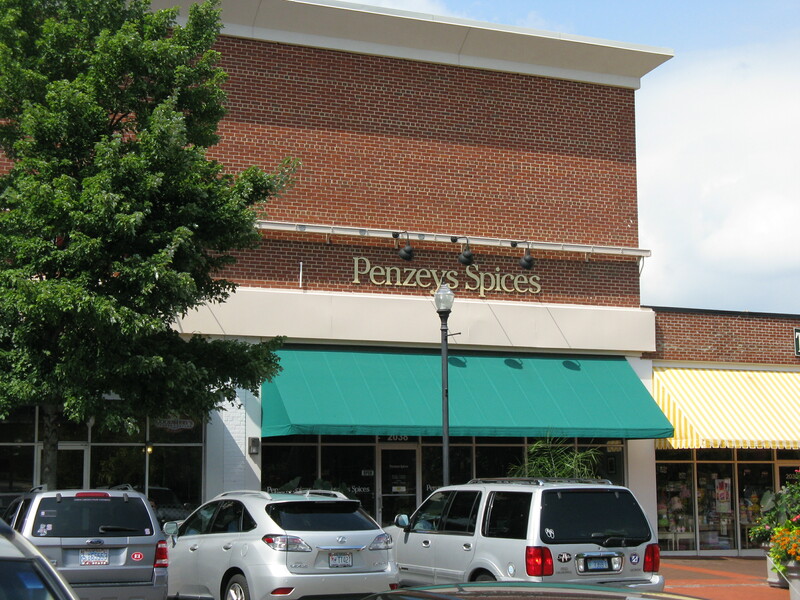 Closer to home for me is Penzeys Spices in Raleigh’s Cameron Village shopping center. This place also rocks and is built around the same concept as Savory Spice Shop, where you can sample what you want and buy what you need. Luckily, I was able to spend more time here. Again, the staff was awesome – friendly and knowledgeable, and left me to browse without interference. Which, in turn, made me buy more stuff. One of the cool things that caught my eye in Penzeys was the prepackaged gift boxes and crates on display at the back of the store. After sampling a number of tasty spices, I decided to treat myself to a small “Grill and Broil” mini gift box, especially since I’ll soon be eating meat again. 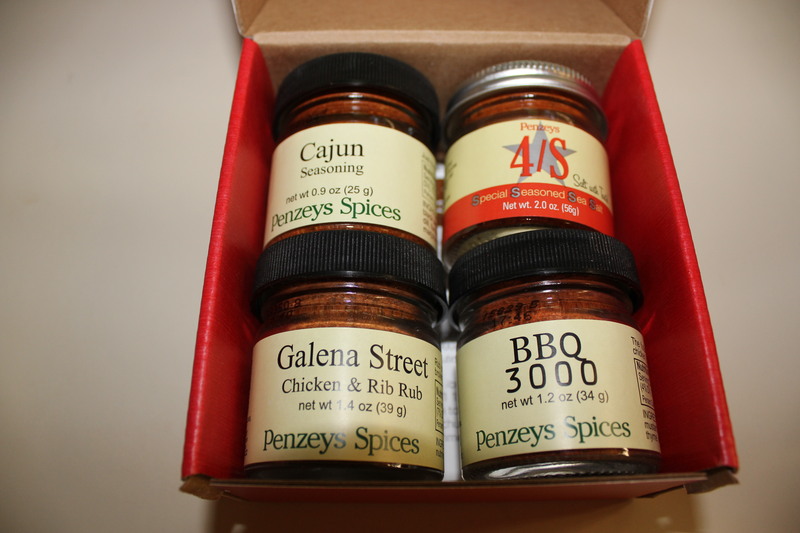 This gift box ($11.95) came with ¼ cup jar each of Cajun Seasoning, BBQ 3000, Galena Street Rub, and my favorite, 4/S Special Seasoned Salt. 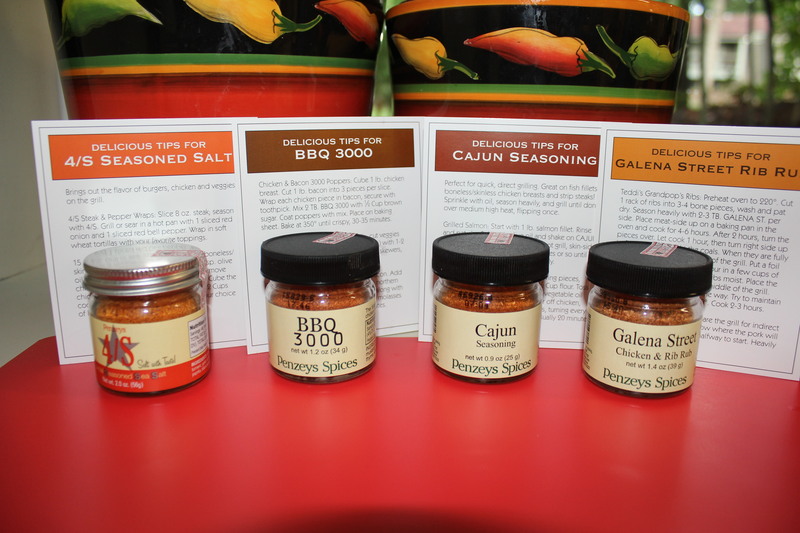 Inside the box are cards that offer “Delicious Tips” for each spice. 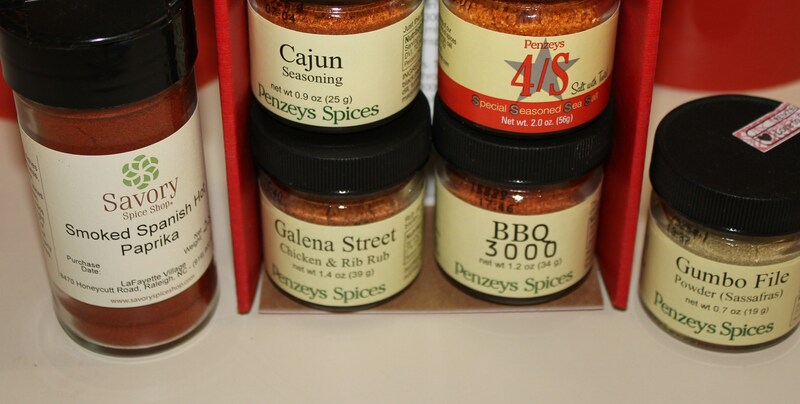 You can design you own gift boxes with spices of your choice if for some reason you don’t find a prepackaged box to fit your needs. I definitely will be Christmas shopping here for the foodie friends on my list! 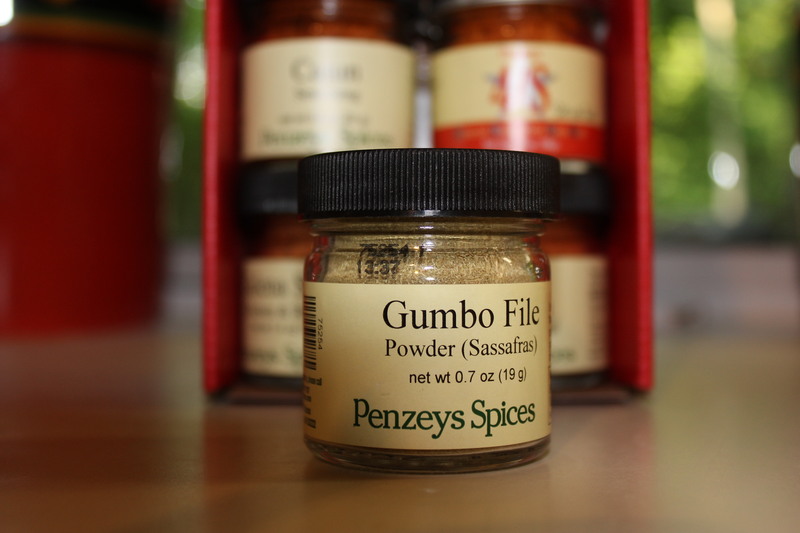 I also scored some Gumbo file powder, which will help thicken some homemade gumbo I plan to make as soon as I can eat the sausage that goes in it. This is a great example of a seasoning you don’t find readily in most grocery store chains, and one you probably don’t need a whole lot of. I bought a small jar, and cannot wait to try it! 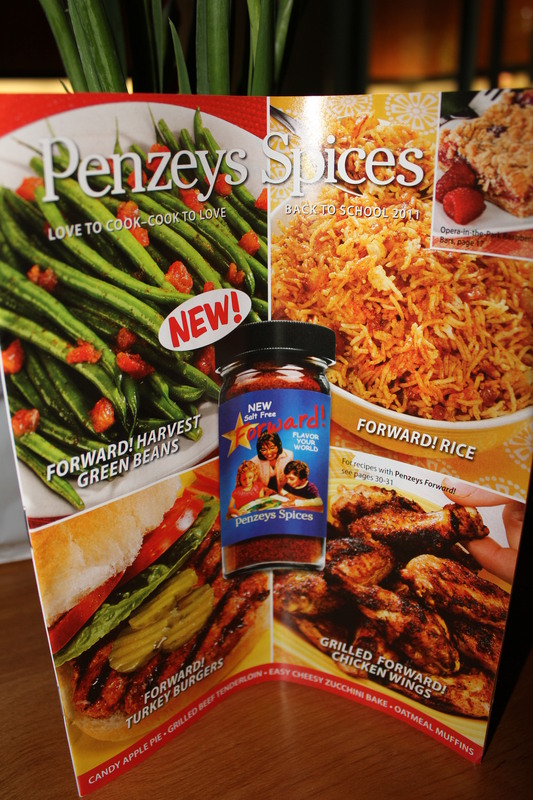 So, go ahead – add some spice to your life! 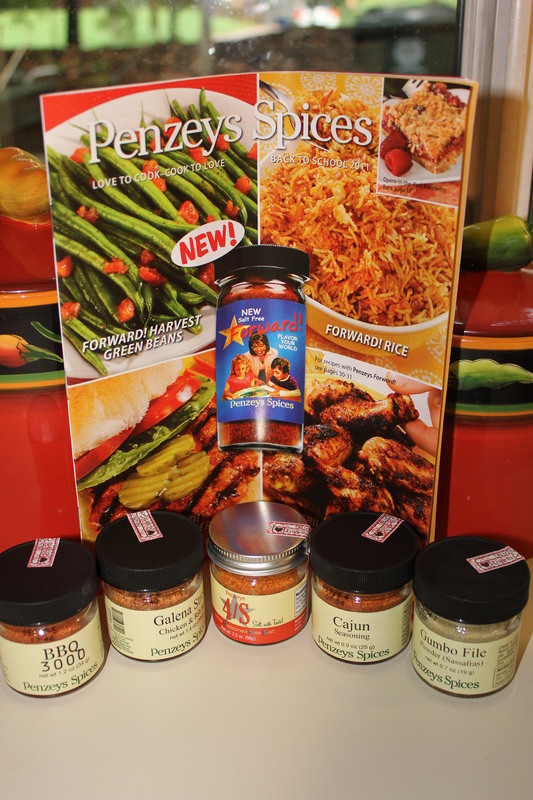 This entry was posted in Tips, Tools of the Trade and tagged eat drink and be merry, kel's cafe of all things food, Kel's tip of the week, Kelley Chisholm blog, Penzeys Spices, Raleigh food blog, Raleigh spice stores, Savory spice Store. Bookmark the permalink. They are great stores – I hope they can both make it!